It is often easy to assume that in order to look sophisticated, you have to spend more money. However, you can create a more grown-up look without buying anything new. All you need are a few new styling tricks. Colours can make a big difference, as whites, tans, greys, navys and ecrus always look elegant. Accessories also play a big part in how sophisticated your outfit looks. 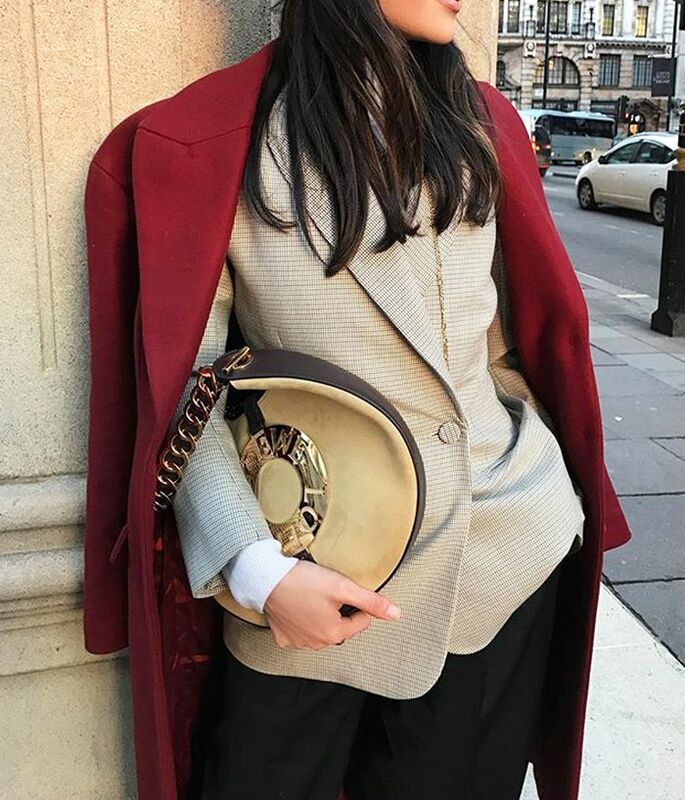 Trust us—it pays to have a silk scarf, a classic leather belt and minimal gold jewellery in your wardrobe for times you want to elevate your looks. Keep scrolling to see 10 ways you can make your look more sophisticated, from simple finishing touches to classic pieces to wear together. 1. Double up on tailoring. Style Notes: A blazer is an easy way to make any outfit look more sophisticated. One way to make it look even smarter is to wear two jackets instead of one. 2. Don't forget to add jewellery. Style Notes: Whether it is a pendant or a chunky charm bracelet like this Monica Vinader one, jewellery really can pull an outfit together. Style Notes: A trouser suit doesn't just have to be for the office. It looks amazing on the weekend too when paired with white trainers and a knit. 4. Match your coat to your cashmere. Style Notes: Tonal dressing instantly makes any outfit look more put together, and one easy way to do this is to match your jumper to your jacket. 5. Tuck your jumpers into your pants. Style Notes: Whether it's a shirt or a V-neck, it always looks chic to tuck your top into the waistband of your pants. 6. A leather belt can make a big difference to a look. Style Notes: A belt might be a bit of a boring purchase, but a classic leather belt can make a big difference to an outfit. 7. Wear one colour head to toe. Style Notes: One of the easiest ways to look sophisticated is to wear one colour head to toe. For extra points, go for a muted colour palette. 8. White cropped jeans always look chic. Style Notes: Ankle-length white jeans are really chic, especially when paired with neutral colours. 9. A silk scarf adds a touch of sophistication to any look. Style Notes: A printed silk scarf—whether worn around the neck, in the hair or with a bag—is an easy way to add an extra touch of sophistication. 10. Gold buttons make a simple outfit look more sophisticated. Style Notes: Gold buttons—especially oversized '80s ones—are a detail to look out for.